The farmstead "Perlina Carpathians" is located in the village of Verkhovyna. Guests are offered accommodation in 2 cottages, which have everything you need for a pleasant stay. On the territory of the hotel "Perlina Karpat" there is a sauna, a children's playground, a gazebo with a barbecue. Hospitable hosts organize hiking, mountaineering, horse riding, mountaineering in winter and ski equipment, quad bikes and snowmobiles. 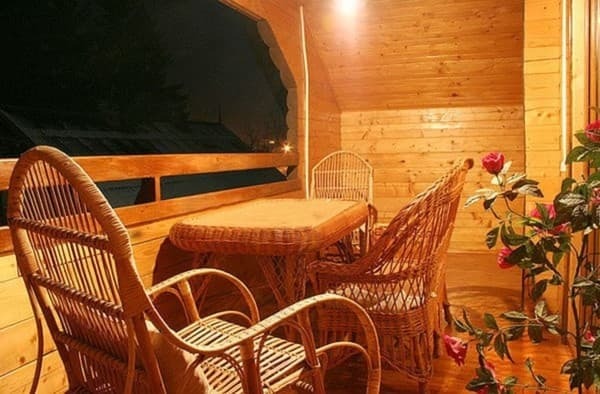 Lazing in the cottage "Pearl of the Carpathians" tourists have the opportunity to really enjoy the fresh mountain air and the beauty of the Carpathian nature. PRICES MAY CHANGE, YOU NEED TO UPDATE THE OPERATOR'S INFORMATION! 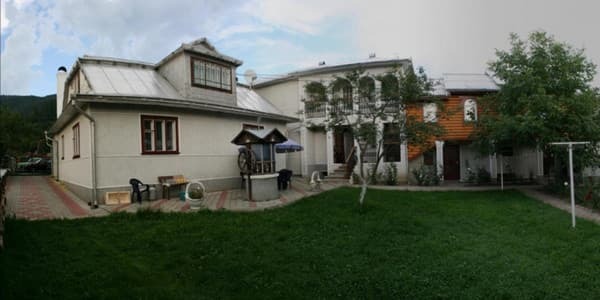 Описание номера: Cozy 1-roomed 2-bed rooms (3 rooms are located in the owners' house). Each room has everything you need for a comfortable stay: a double bed, a wardrobe, a TV. A bathroom is on the floor. There is an opportunity to use the kitchen. 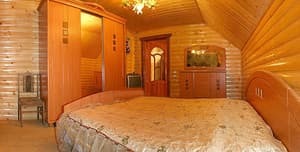 Description of the room: Cozy 1-room suite, located in a separate cottage. The room has everything you need for a comfortable stay: a double bed, a soft part, a wardrobe, a TV set, a bathroom on the floor. Удобное размещение.Очень приятная хозяйка, вообще понравилось ВСЕ. Children under 6 years without an extra seat live free of charge, 6-12 years old - 50% discount. During the period from December 25 to January 15, breakfast is included in the room rate. The cottage is located near the Tatarov-Verkhovyna highway at the entrance to Verkhovyna from the direction of Krivorovni, near the small river and the museum of musical instruments Kumlyk (20 m). Convenient approach - an asphalt road. 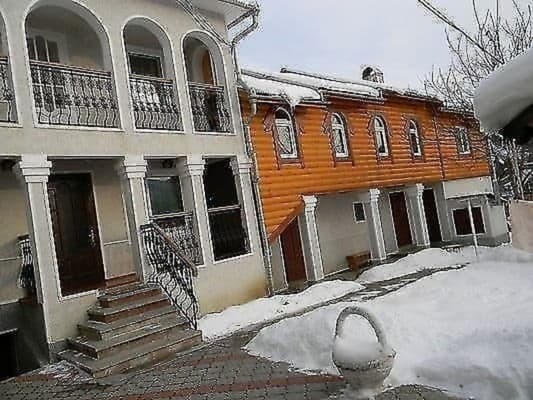 To the nearest cafe - 50 m, shop - 200 m. To the nearest ski lift - 500 m.
By public transport: to Verkhovyna by bus, by shuttle bus from Ivano-Frankivsk, get off in the center of town. Verkhovyna. You can agree on a meeting with the owners at the bus station. By car: on the highway N-09 through Ivano-Frankivsk to the village. Tatarov. 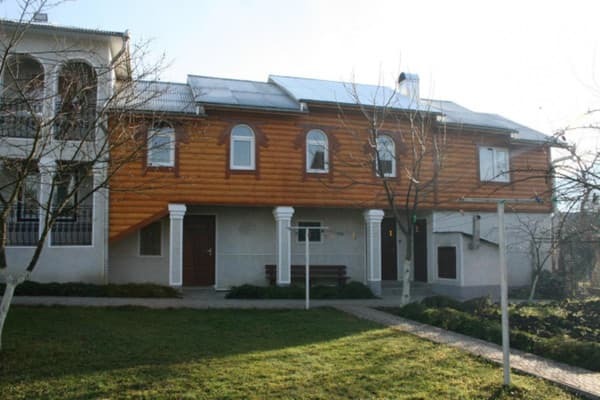 In Tatarovo, follow the signs for Kosiv (route P-24 Tatarov-Verkhovyna), go to the center of Verkhovyna and turn into the street at the sign of the house.